From the CN Tower to the shores of Lake Ontario, Toronto is an incredible, thriving city. Whether you’re moving here to take advantage of the booming economy, or for personal reasons, you’ll find it offers an engaging, dynamic experience with just about anything you might want to see, do, or experience within its borders. Of course, as one might expect, there’s quite a lot you should know about moving to the city. In our guide, we’ll explore some of the most pertinent topics. Toronto is one of those cities that makes getting around simple and easy, even for those who don’t want to drive themselves, and even for those who don’t own their own car. The Toronto Transit Commission’s wide range of public transport services ensures that you can get where you want to go at any time of the day or night. You’ve got both subways and streetcars to take advantage of, as well as a well-developed bus line. Tokens are sold near each station, or you can buy a reloadable card. While you’ll do a lot of travel by public transit, Toronto also has a secret way to get around that newcomers often overlook. Dubbed PATH, this is an interconnected network of shops, entertainment venues, and service providers located under the city itself. PATH spans a total of 19 miles, and you’ll find 200,000 people using it on a daily basis. This is an excellent way to get where you’re going without having to venture out into the sub-zero winter weather the city experiences. Take your time when you first start using PATH, and make sure to check the maps frequently until you learn your way around. All urban areas have a higher cost of living than in rural areas, and Toronto is no exception. In fact, it’s estimated by the Canadian government that you would need to earn a salary of over $40,000 to meet the city’s cost of living. The good news is that it isn’t hard to earn a good salary here, specifically because the cost of living is so high. The minimum wage remains $14 per hour, and better jobs pay commensurately more, as well. However, the cost of living can cause sticker shock at first, so be prepared for this. Like all other cities, Toronto is actually a combination of different neighbourhoods. Some are good, others are not so good. Some are affluent, others are up and coming. Knowing where to look for your new home will simplify matters for you and help ensure that you get the right home for your budget and your lifestyle. If you’re a young professional or have a creative career, you’ll most likely head to The Annex in the West End neighbourhood. Roncesvalles is also popular with creative types. Downtown might be a great place if you have an executive level job, but it is the most expensive of the areas. Midtown boasts several popular areas, including Yonge & Eglinton and Mount Pleasant (great for families). Summerhill and Rosedale are havens for the affluent. If walkability matters to you, then moving to the Kensington Market area might be a good idea. Harbourfront is, you guessed it, right on the water with views of the lake and islands. In the East End neighbourhood, you’ll find Danforth-Greektown, which is an excellent place to raise a family, as well as Little India, Moss Park, and Leslieville. Other neighbourhoods within Toronto include Uptown, East York, and York-Crosstown. Etobicoke and Scarborough are technically suburbs of Toronto, although they are often lumped in with the other neighbourhoods. Whether you’re renting or you’re buying a home of your own in Toronto, you’ll need to know your utility providers. For power, you have Toronto Hydro. For gas, you’ve got Enbridge. Water, sewer, and trash service are provided by the City of Toronto. When it comes to Internet connectivity, you have quite a few choices, including EBOX, Bell, Dotto-One, and Rogers. There are other companies with smaller service areas, but these are the major providers to know. Toronto is one of the most diverse cities in Canada, and you’ll quickly learn that most of its residents don’t fit the stereotypical mould. It might help to think of Torontonians as the New Yorkers of Canada – they’re still nice, but they’re not overly apologetic, the way residents of some of Canada’s other cities are often seen. In most of Toronto, you’ll see more city pride than national pride, and residents usually refer to themselves first as Torontonians, and secondly as Canadians. There’s a lot of civic pride here found throughout the many minorities that create this rich melting pot of cultures. This one comes as a surprise to those who move to Toronto from other cities. It’s a very, very bike-friendly place. So much so that most of downtown actually has dedicated bike lanes you can use, and you can bike the city all year long, provided you purchase cold-weather gear. Note that legal infractions while riding a bike can actually cost you points on your Canadian driver’s license, so use caution (don’t drink and bike, either). All in all, Toronto is an amazing place with a rich culture and lots of pride. It’s a wonderful place for raising a family, but also for young professionals. 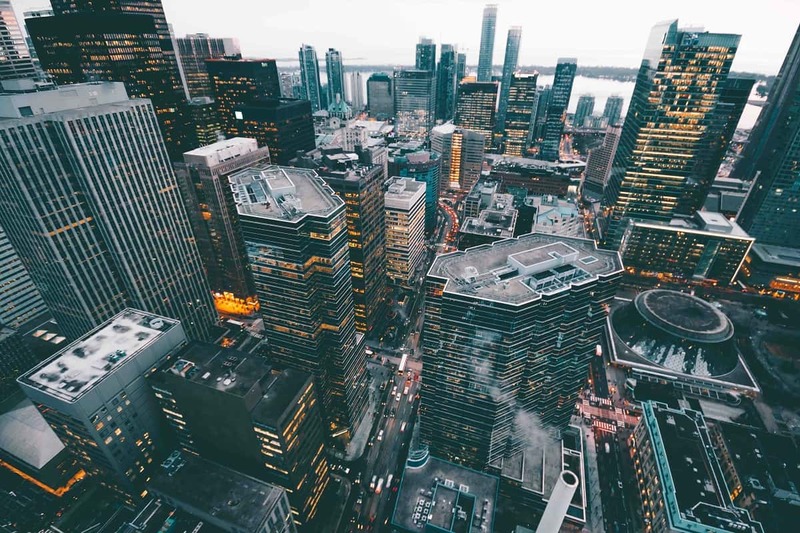 With its considerable diversity, PATH, the presence of well-developed public transit systems, and the booming economy, Toronto remains a huge draw for new residents. If you’re moving to Toronto, make sure to use MoveIt.ca to find and compare moving estimates, as well as to get the professional help you need to make that move simple and hassle-free.